AAA Hawaii is urging those who celebrate the Fourth of July with family and friends to plan their return from the celebration to avoid drinking and driving, including staying the night or designating a sober driver. In addition, AAA Hawaii’s free community service, Tipsy Tow will be available as a last resort during the during the Fourth of July holiday. The service is available from 6 p.m. Thursday, July 3, until midnight Friday, July 4. Tipsy Tow is available in the areas served by AAA Hawaii. However, Tipsy Tow is not offered by all AAA clubs. Motorists, bartenders, restaurant managers, party hosts or passengers of a drinking driver may call 1-800-222-4357 for a free tow home of up to five miles. Callers simply tell the AAA operators, “I need a Tipsy Tow,” to receive the free tow and ride home. A regular AAA Hawaii-contracted emergency road service truck will be dispatched. Tipsy Tow is unique in that it provides a driver with a safe ride home for themselves and their vehicle instead of driving while intoxicated. · At social events, designate non-drinking drivers who can get everyone home safely. · Call a friend or family member for a ride if you have been drinking. · Never ride as a passenger in a car driven by someone who has been drinking alcohol – even after just one drink. · Keep a cab company telephone number in your wallet so you can call for a ride home. · As a party host and good friend or loving family member, offer a variety of non-alcoholic drink alternatives, serve food as well as dessert and coffee, and provide a gift to guests who volunteer to be designated drivers. · Have a back up plan to spend the night at the party instead of driving home under the influence. 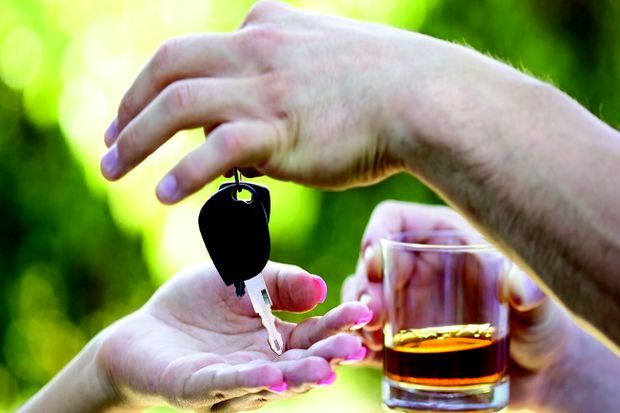 · Take the car keys away from friends and relatives who have had too much to drink. · If you encounter an impaired driver on the road, keep a safe distance and ask a passenger to call 9-1-1 (or pull over to a safe location to make the call yourself. · Remember: prescription, over-the-counter medications and illegal drugs also can impair your ability to drive safely. AAA Hawaii is a member of the AAA federation of motor clubs. It has served members since 1921. Today, AAA Hawaii provides services to its members that include insurance, roadside assistance, maps, international and domestic travel planning and reservations; pedestrian and traffic safety programs; financial services including credit cards. Information about these products and services is available on AAA Hawaii’s website at www.AAA.com.